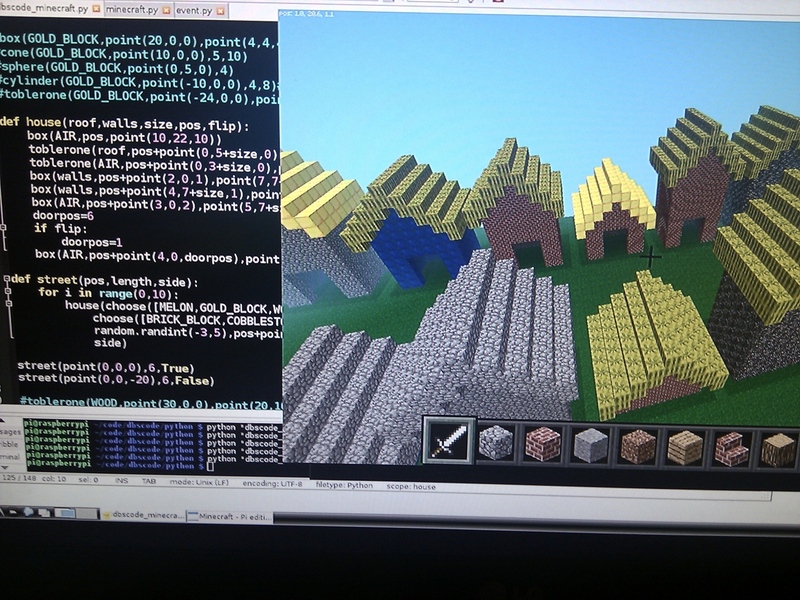 More work on the Python teaching environment we’ll be using next week for the Minecraft workshop at dBsMusic. I’m working on various ideas for procedural architecture, using this as a way to demonstrate what programming is about – thinking procedurally/functionally. The code is online here – I’ll be adding some exercises and course materials over the next few days. 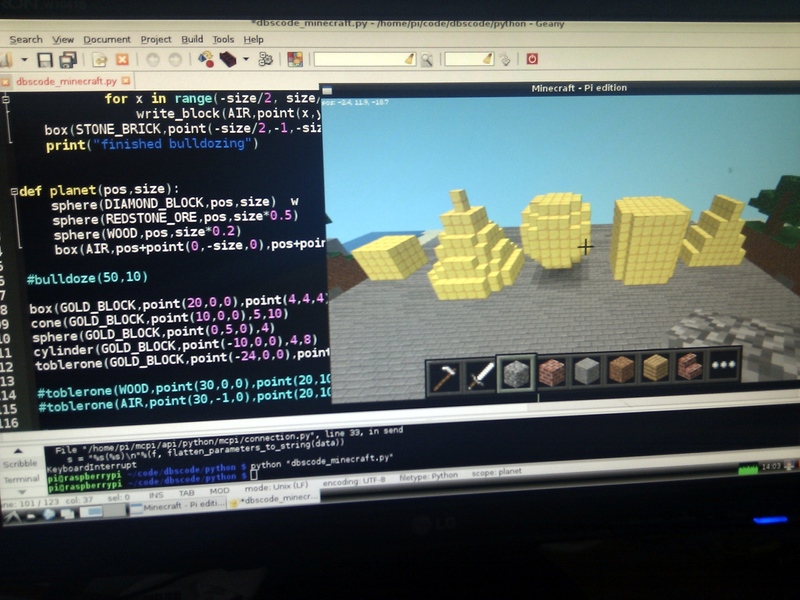 Edit: Documentation on how to use, also install.sh should work on Raspberry Pi. Exercises to follow.